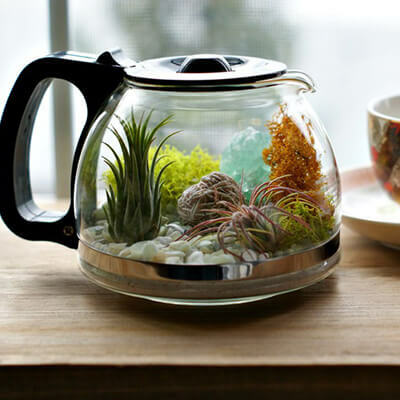 Creative Uses For Your Broken Appliances! At eSpares, we’re all about helping people repair their appliances rather than replacing, but we do understand that may not always be an option. 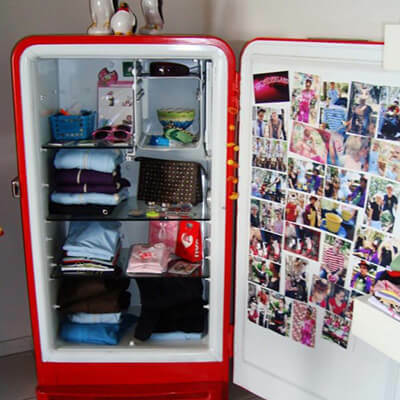 So, instead of getting rid of your broken appliance, why not turn it into something brand new! We found some super savvy bloggers who refused to accept that their old appliances no longer had a use and turned them into something really awesome! From Broken Fridge to Useful Drinks Cooler! 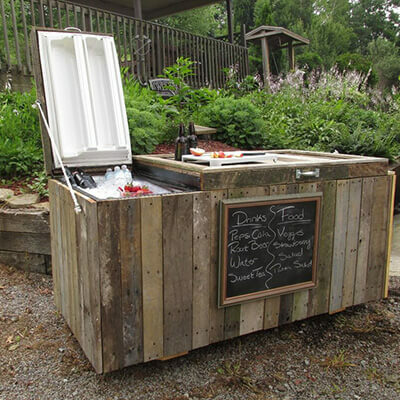 If there’s no going back for your fridge, why not turn it into a handy outdoor drinks cooler! Perfect for parties, BBQ’s and other outdoor activities, the cooler brings a stylish vibe to your outdoors. You can create two separate sections for the bigger events and use the base to make and prepare food. If you’re really out to impress why not create your very own specials board to place on the front! It’s a sad time when your coffee machine breaks, but it doesn’t have to be goodbye! Bring some life back into it and create your very own stylish planter pot. All you need to do is layer the bottom with sand, rocks and moss, decorate with colourful shells and plants and your left with a unique and quirky decoration! 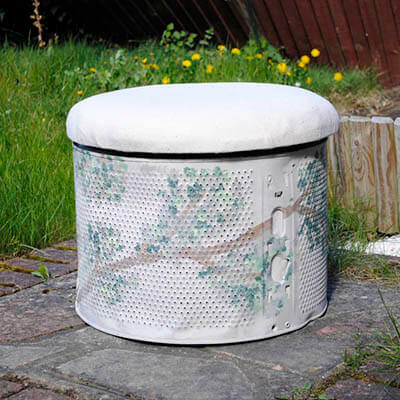 Add some extra comfort to your home without splashing out by turning your broken washing machine drum into a footstool! Extremely easy to do, your new footstool can be designed to fit in with your decor or completely stand out and the inside even makes for a great storage solution! From Broken Fridge Freezer to Life Organiser! If you’re running out of storage space and your fridge freezer has broken, why not turn it into your very own personal area! Use the shelves to separate items and personalise with photos and decorations. The ‘Little Piece Of Me’ blog has some great ideas for uses such as a wardrobe, bookshelf and many more! Another way to re-use your broken fridge is to mount the coil on the wall and use it as a stylish backdrop for art work and photos! 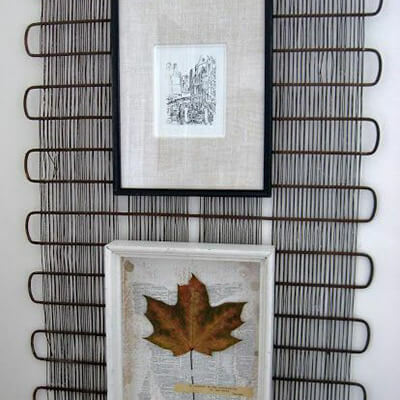 This great idea from ‘Four Corners Design’ is guaranteed to create an arty feel in your home without spending a penny! You’re friends will be shocked when you reveal what it is! 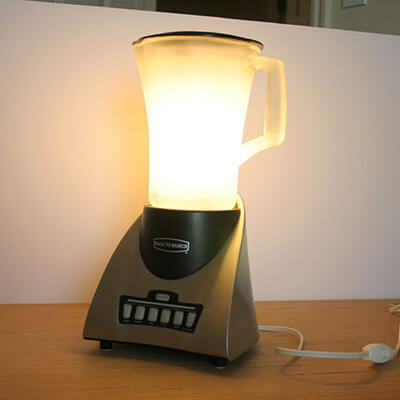 If you’re no longer able to use your blender, whip up some creative lighting instead! This genius idea is a great way to recycle your broken appliance and add a cool, modern twist to your home or office. 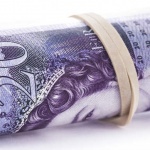 It’s simple to do and is sure to impress your guests. 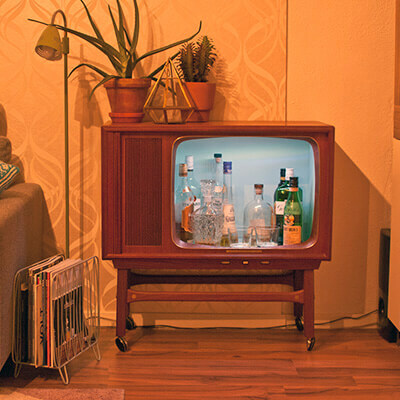 If you have a vintage style television that’s recently given up on you or has been tucked away in the loft, give it a new lease of life by turning it into a chic mini bar! It’s not only a great place to hold your stash but it gives a quirky, vintage look to your home. Just be sure to read the safety instructions before you begin. 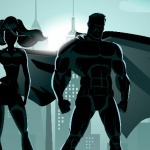 If this has inspired your inner creativity, give it a try! Or, if you have any other ideas or anything you’ve recycled into something new, let us know in the comments below or send us a photo on our Facebook page!